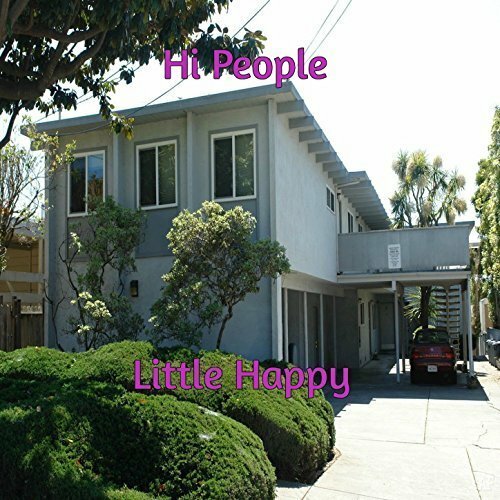 The popular busker from California’s Bay Area known as Little Happy has released her debut official EP album, “Hi People.” The album contains three integral Little Happy singles, “Jealous,” “If This Really Is Goodbye,” and “Little Happy” for an approximate total listening time of 10 minutes. Raw, unadulterated and overflowing with heart and soul, “Hi People” may very well be the most genuine pop-punk record of 2017. Little Happy cites as main artistic influences Goo Goo Dolls, Smashing Pumpkins, New Found Glory, Phil Collins, Boys Like Girls, and Gin Blossoms. Her music is perhaps most akin to that of New Found Glory, but ultimately her sound and style are her own. A popular and well-known face around the Bay, Little Happy is mostly famed for busking with her frequent collaborator, DSueetz, but has already been featured on 89.9FM in Vallejo in spite of having no publicity manager nor advertising agents. If it isn’t her upbeat music or the infectious positive attitude with which she infuses each song that is responsible for the growth of her popularity, then it may be her startling work ethic as a music artist. “Hi People” from Little Happy is available online worldwide from over 600 quality digital music retailers now.